Look closely at the images on these pages, and you will see the story of Joseph Luppino, photographer. It is a story of scholarship and professionalism finding love in the art of the motorcycle. It is a story that began decades ago, with training and discipline, and which continues, with insight and experimentation, to reveal the richness that is the modern motorcycle. Luppino studied the elements of light and shadow, color and composition at Penn State’s School of Visual Arts. Receiving recognition early in his career, he went on to manage “the studio,” at The Maine Photographic Workshops, the world’s oldest and largest photographic work/study retreat. Luppino then spent nearly twenty years working with New York City’s most elite and respected photographers on a vast array of advertising, editorial, and corporate campaigns. Luppino launched Pixelnation, a boutique photographic resource company specializing in high resolution drum scanning and digital capture imaging services, in 2002. While continuing Pixelnation’s original mission, he found himself increasingly mesmerized by speed and obsessed with the mechanical perfection of the bike. Luppino began photographing motorcycles in 2008. He specializes in vintage bikes from the early 60s, custom-built machines, and restored projects going back to the 1930s. He developed a process that brings out the depth of a bike’s color and the soul of its chrome, without sacrificing detail to shadow. His work routinely appears in books, magazines, blogs, trade journals, and club commemoratives. Luppino put the power and expertise of Pixelnation behind his motorcycle photography in 2012. 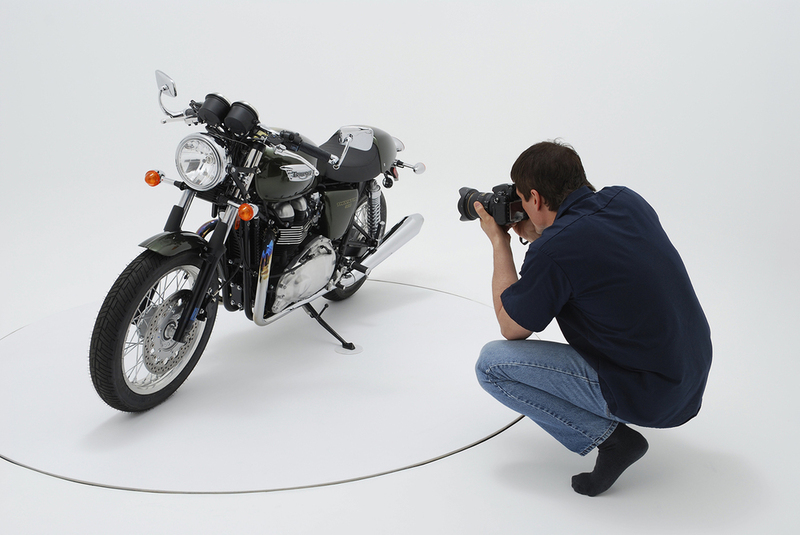 Working in conjunction with Martin MotorSports (Boyertown, Pennsylvania), he designed and built the only full-time photographic studio to be located in a motorcycle dealership. Luppino created the perfect environment in which every angle and every type of light can be easily utilized in creating exquisite images of timeless machines. His technique brings a stronger focus to bear on the individual character of each bike, while reducing the time required to achieve the desired effect. It also eliminates manhandling fine motorcycles or maneuvering lights close to delicate paint.